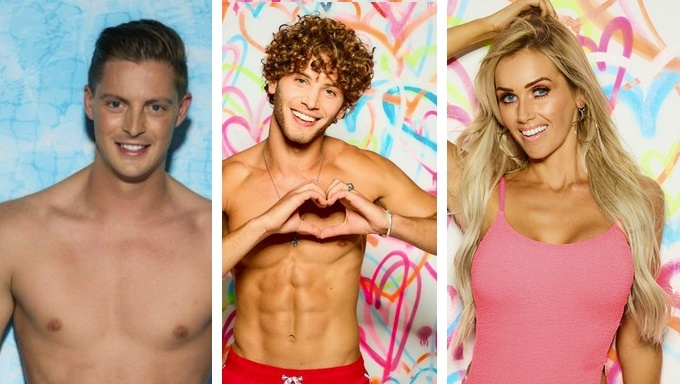 Following on from last week’s overall view of the markets, a week has passed in the Love Island villa which is the sporting equivalent of half a season. So, for specials betting fans who just haven’t seen the previous episode or preview, or for those who just need some notes to try and recap what happened during Tuesday’s episode, here’s the second unofficial Love Island betting report. Megan (16/1 with Ladbrokes to be top female) made the early and brutal move on Eyal, with a lack of chemistry between the couple clear compared to the other partnerships. Eyal was caught unawares and has a shaky look to his prospects, with the two clearly incompatible on an emotional level. Eyal’s snipe at Megan could backfire in later weeks with both those in the villa and outside. Ellie and Alex’s split ran over into the beginning of the episode and could be a dividing issue despite their conversation about it being settled and the challenge suggested this. Watch for Alex’s next move, several rejections have increased what some see as a rather large and inflated sense of entitlement but evidently, he still has some pull. Megan made her big move on Wes, an obvious tactical play with Laura and Wes stretching with each other. That producers felt the need to cut Megan into trailers for the ad breaks suggests some careful planning, although this might not have taken all the work in the world. Wes’s rejection of the kiss might have put the breaks on Meg for a while, but his head has been turned and a move was a sure thing. It was no surprise that Laura (15.00 at 888sport to be top female) and Wes had the split – but this leaves Laura vulnerable given her lack of interactions with any of the other boys in the villa. Could she be match up with Alex or Eyal, the most open of the boys but neither hugely compatible? Adam has spent two or so days out of the limelight – mind for him that consist of his own mother disapproving of his behaviour in the villa and Women’s Aid making him an example of abusive behaviour. Two votes for Alex to marry early show that he’s still got some ‘nice guy’ pull. General chaos with the snogging was an interesting sub-pull. Wes (10/1 to win with William Hill) and Laura’s second on and off appeared strange and not entirely sincere. Sam’s move of the kiss and Ellie’s early manoeuvres are coming back to bite her a tad as judged by some snarky comments – it’s a long way to go, however. Laura and Wes: Had a doomed look before even tonight after Wes’s bold move to call Laura ignorant during the previous game and it was all over from early on. Megan ended things with Eyal, citing a lack of ‘fun’ compared to other couples. Despite being relatively close to Laura, she made a serious move on Wes. There were plenty of chances to take out frustration with a pie challenge where Wes annoyed Laura again. Wes went for advice from Zara and Alex, both of whom encouraged him to ‘kick on’. Wes told Laura he wanted to hang out with Megan more. Shockingly, Laura dumped Wes who replied simply: "That's fine". Megan sat there through the whole argument between the two, smiling like a serial killer. Laura called Megan a slag. Megan then sleep-shamed Laura with a body count. Dani (4/11 to be top woman with Paddy Power) and Jack might as well be married by now. There might as well have only been four contestants in this episode and you wouldn’t have known. Lots of manoeuvres which in reality are a field of contenders smashing into each other as Dani and Jack, 4/9 to be the winning couple with Ladbrokes, streak clear. Poorly treated Laura, Alex and Eyal are all vulnerable with Laura looking by far the most exposed, and in the the top man and top woman markets at Bet365 their odds have lengthened to 10/1, 8/1 and 33/1 respectively. This indicates that all three would have to be big favourites to go regardless of method.